The early 1910's were among the most successful periods in Swindon's history. 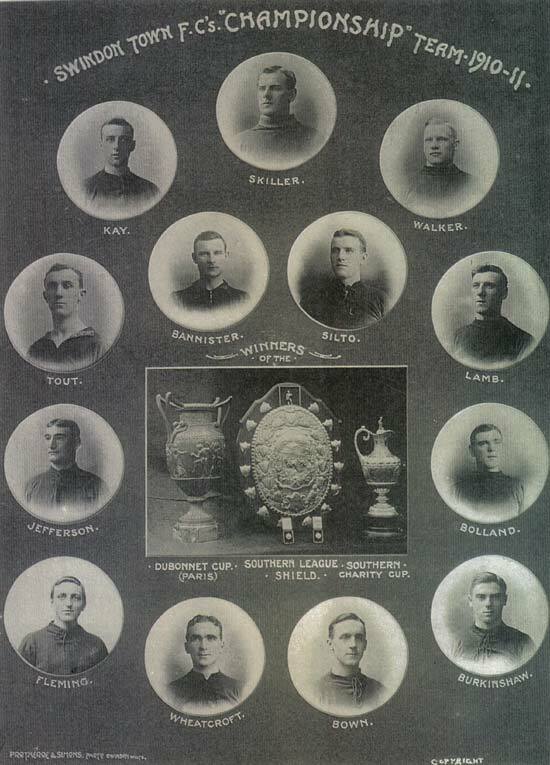 As well as reaching the FA Cup semi-finals twice (and on each occasion being knocked out by the eventual winners, Newcastle in 1910 and Barnsley in 1912), the Town also twice won the Southern League championship. 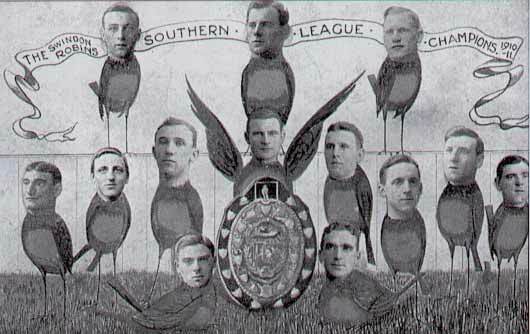 With only two divisions of professional football in England, and no automatic promotion between the league and the non-league, the Southern League was one of, if not the best non-league football competition in the country. The postcard shown above was published after the Town's first success in 1911. The squad at the time included such players as John "Jock" Walker, the tough tackling Scottish full back who played nine times for his country, and England international forward Harold Fleming, who to this day holds the Swindon club record for appearances made for England whilst playing for the club (he made eleven appearances, and scored nine goals). A statue of Fleming currently stands in the club's foyer, and he has a street in the town named after him, Fleming Way.